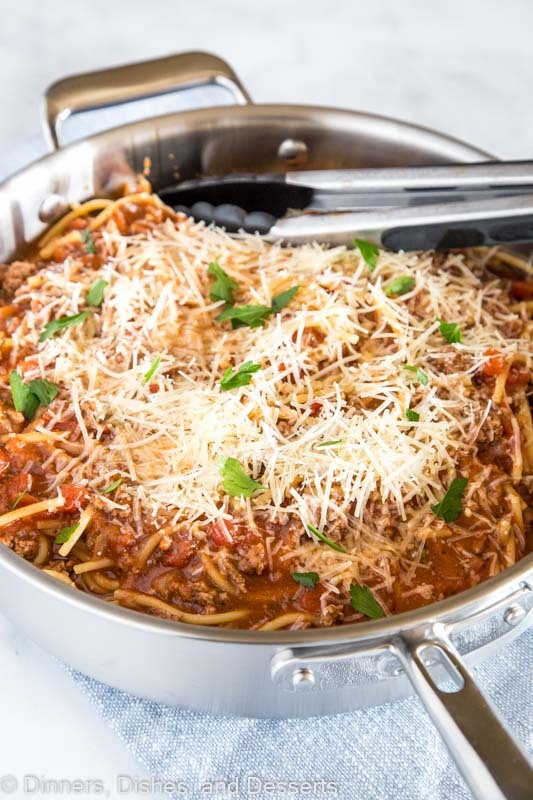 One Pot Spaghetti with Meat Sauce – classic spaghetti with meat sauce that comes together in just minutes all in one pan! 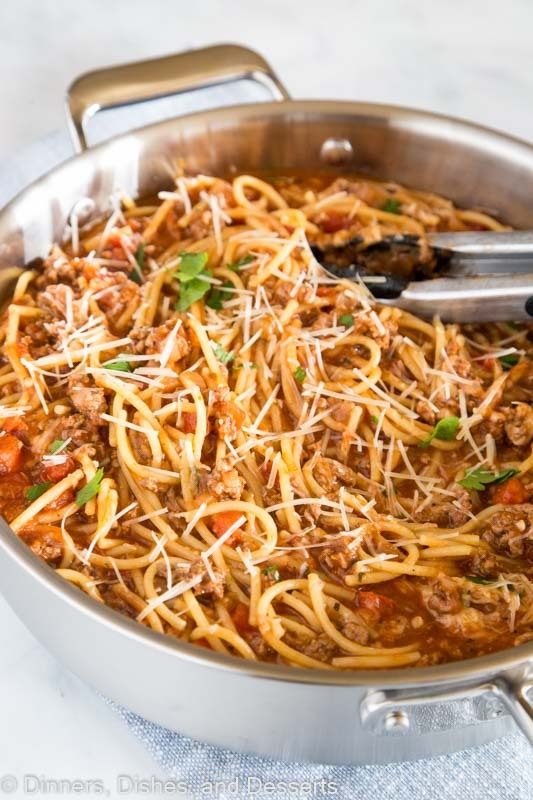 When I was growing up we had spaghetti with meat sauce probably every other week. It was something that I loved. My mom always made a homemade pasta sauce and sometimes, if my dad had his way it would include meatballs. Served with Cheesy Garlic Bread and it was my favorite dinner as a kid. To this day, spaghetti is one of my go-to comfort foods. But sometimes I don’t have the time to make the sauce and let it simmer and be perfect. 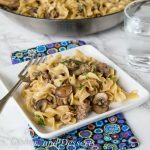 So I love this one pot pasta version for busy weeknights. It takes about 20 minutes together, has a homemade sauce, and is absolutely delicious. 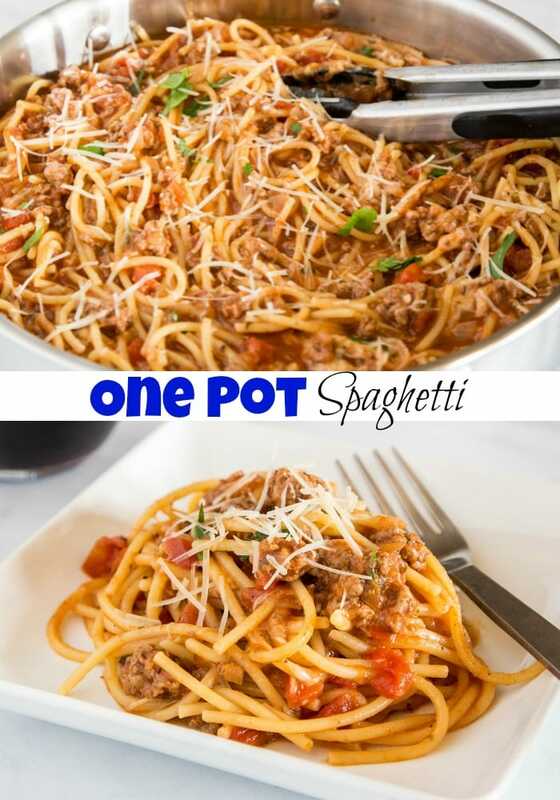 One pot pasta is when the pasta, the meat, and the sauce is all cooked in one pan. 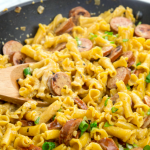 You add the pasta to the pan when it is raw and uncooked. There is enough liquid added to the pan, so it boils and cooks the pasta as the sauce simmers and comes together. It all comes together in just one pan, so you don’t have to worry about a bunch of dishes to do either! 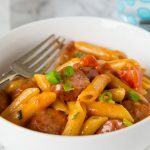 You can mix up the flavors and make all sorts of different one pot pastas. I have a TON of them on the blog. This Homemade Hamburger Helper Lasagna in another great version. 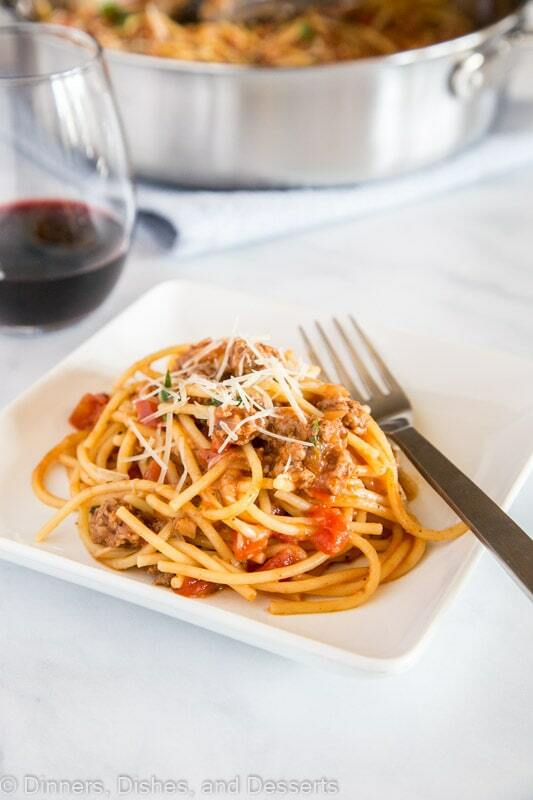 This spaghetti with meat sauce recipe starts by browning the ground beef and onion together until the beef is cooked and the onions are soft. Add in a little garlic and let it cook until it is fragrant. Next add in the tomatoes, the seasoning, water, and spaghetti. You can use any combination of tomato products you want. I like to use a big can of crushed tomatoes so you get a little tomato texture, but plenty of sauce. You can use tomato sauce, diced tomatoes, crushed tomatoes or even a jar of marinara sauce in place of the tomatoes and the spices. This recipe is super flexible. Bring the liquid to a boil and make sure to stir every couple of minutes. You do not want the spaghetti to stick together or it will not cook properly and it will not turn out right. So just cover and then stir every couple of minutes. Once the pasta is cooked top with shredded Parmesan cheese to serve. You can mix in some if you like it cheesy or just serve it on the top. Either way it is delicious. 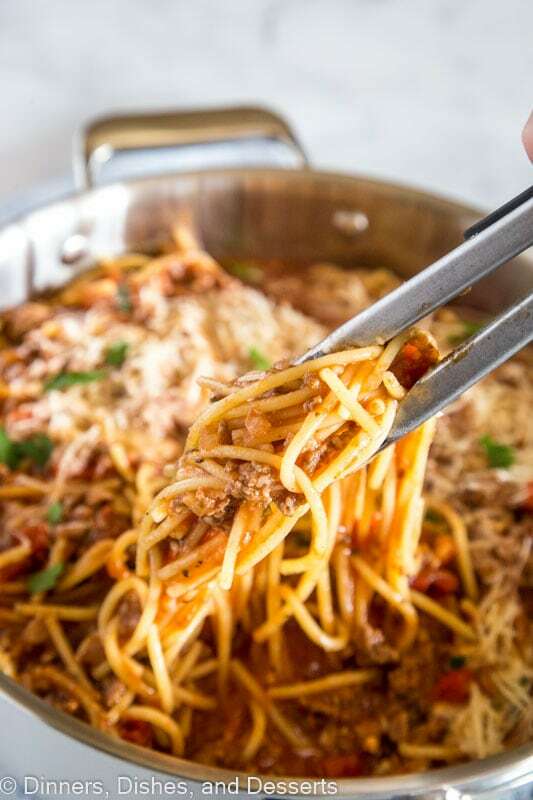 Yes, even though the spaghetti and the meat sauce are already mixed together, you can freeze this. Make sure it is completely cooled and placed in an air tight container. Thaw in the fridge and then you can reheat. You can reheat on the stove top or in the microwave. 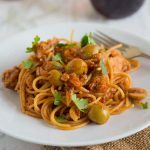 I love this spaghetti with meat sauce recipe because it makes enough that we can have leftovers for lunch the next day. Just like any pasta sauce, this is even better the next day! Makes for such a great lunch. Spaghetti is one of my families favorite dinners. 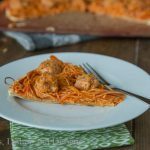 I love how quick this is for those busy weeknights! 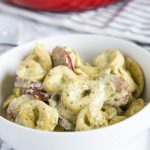 This is the ultimate comfort food that my wholefamily loves! 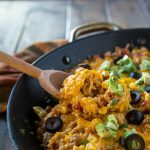 I love any recipe that just requires one pot! I make this all the time!! 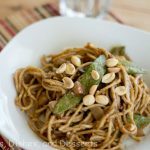 I love that it’s an easy dinner recipe that my family loves! I’ve never tried a one-pot option like this, but can’t wait to give it a go! Also really great that you can freeze the finished product – so handy! 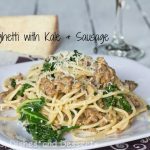 This spaghetti is perfect for busy weeknights! 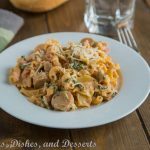 So much easier to do it all in one pot, and it tastes so comforting! Love one pot meals! This is great for a family dinner at our house. One pot meals are so convenient!! 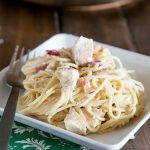 What a great way to have a quick and flavorful home cooked spaghetti meal for the family!! I’ve made this for years! It’s always a big hit! I love how easy this is to make! Thanks for the recipe! 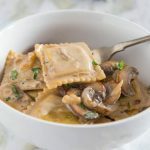 I want to make this for dinner on a busy weeknight! Love it! I made this tonight and it was super tasty! I added beef broth instead of water and some crushed red pepper and we really enjoyed it! My husband is super picky, but he gave his seal of approval! Thanks for the great recipe. It’s definitely going into our dinner rotation. So glad that you enjoyed it!! We always add a little crushed red pepper to ours when we serve it too.